While most beer fans get excited for Fall to bring forth numerous seasonal Oktoberfest beers, I couldn't care less. Drinking light beer in large quantities is only fun if you enjoy using the bathroom every ten minutes. No, my friends, Autumn brings with it a significantly more exciting type of beer; pumpkin ales. 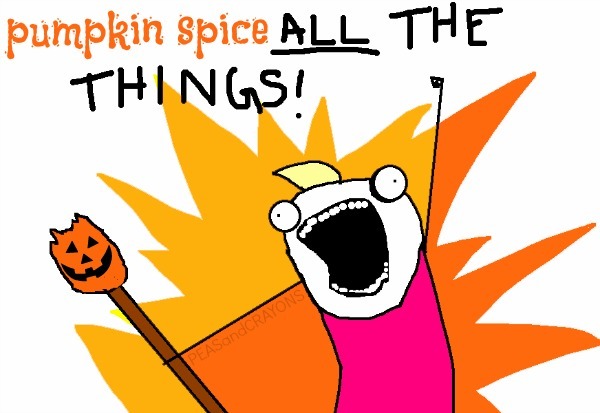 Pumpkin is finding its way into almost everything lately. And why not? It's a cheap, readily-available ingredient that grows on every continent but Antarctica. Toss in some cinnamon, nutmeg, and/or allspice and even the most boring of food or beverage item is instantly delicious. I've found that this is largely the same with beer, although with one big caveat. Some pumpkin ales are pretty much a typical lager with nutmeg dumped in. That's not how I roll. Real pumpkin ale is brewing beer with intentionality, real pumpkin, and a spice profile appropriate for each unique brew. The first pumpkin ale that really grabbed my attention years ago was Elysian Brewing Company's Night Owl Pumpkin Ale. Not a lot of brewers were brave enough to use pumpkin at the time, but Elysian accepted the challenge. Night Owl presented itself as a balanced, medium-bodied ale with just enough pumpkin and spice to remind you of everything you love about the Fall while still being as drinkable as most ales. Brewed at our original Capitol Hill location in Seattle. silver medalist at the 2007 Great American Beer Festival in the Fruit and Vegetable category, the world’s first Imperial pumpkin ale. Brewed with pale, Munich, Cara-Hell, Cara-Vienne, Cara-Munich and Crisp 45° L Crystal malts. Roasted pumpkin seeds in the mash, and extra pumpkin added in the mash, kettle and fermenter. Spiced with cinnamon, nutmeg, cloves and allspice. What I'm reading is there's a lot of pumpkin involved in this 8% ABV offering. Let's drink some! Appearance: Slightly orange with a similar appearance to many summer wheat ales. Only a very thin, white head pours and quickly dissipates. Not a whole lot of light gets through this one. Smell: Lightly sweet with the typical nutmeg and allspice hues of a pumpkin ale. A little bit of pumpkin is on the nose as well with surprisingly little alcohol. Taste: This is really delicious! Everything I mentioned loving about Night Owl comes through riding a much higher level of booziness. I'm pretty sure 8% is a lie, but I like it! The pumpkin and spice hues come through in just the prefect amounts to not overwhelm one's pallat. As it dissipates, you're left with some lingering allspice and enough alcohol warmth to remind you that this one can be dangerous. I highly recommend drinking this with a rich dessert (cheesecake perhaps?) 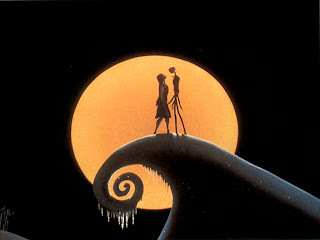 or on its own. In short, you owe it to yourself to pick this one up. 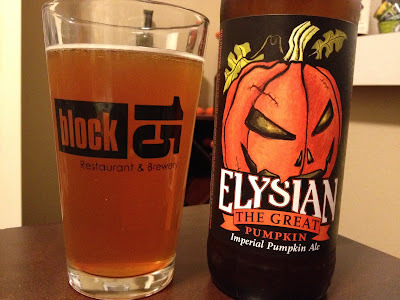 Elysian has proven that when it comes to pumpkin, nobody comes close to what they can do with it. And, yes, I'm looking at you, Dogfish Head. I love coffee. Only slightly less so than beer, but apparently it isn't socially acceptable to bring a mug of porter into the office each morning. That withstanding, I still really love coffee. A perfect weekend for me involves rolling out of bed whenever I want, strolling into the living room, grinding some coffee beans, and drinking an entire French press. Living in Portland is especially advantageous for this as we're graced with a multitude of local roasters who never cease to amaze my taste buds. One such roaster, Stumptown Coffee Roasters, is iconic of Portland coffee roasters. Founded in 1999, Stumptown essentially revolutionized what it meant to serve quality coffee while infusing ethical purchasing principles. Since then, dozens of others have popped up around Portland with only few considered rivals. I'm a huge fan of what they typically purchase from Latin American countries, but they source from all around the world. 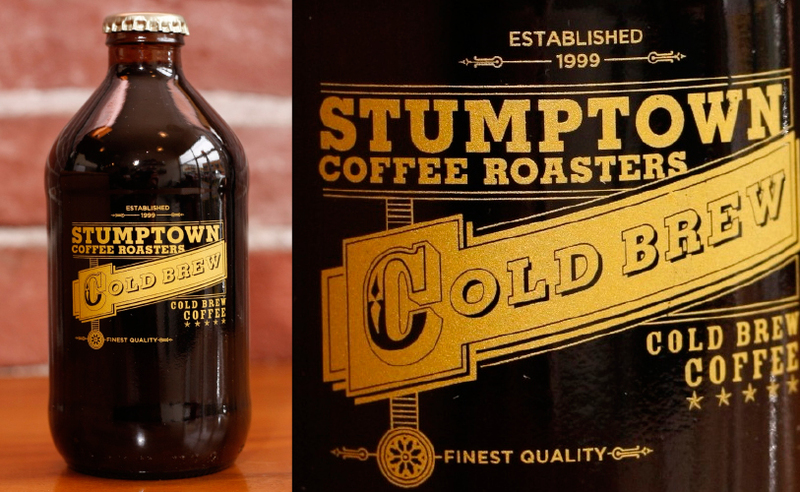 Stumptown Coffee Roasters is gearing up for iced coffee season with the release of its first-ever bottled coffee. Cold-brewed from the roastery's house blend and bottled at Portland’s House Spirits Distillery, these bottles of cold-brew goodness are full of rich, chocolaty aromas, tangy fruit flavors and earthy undertones. Before I do so, however, let me take a moment to point out the stubby bottle. What was once a fairly common bottling method for beers has since become the iconic bottle of choice for Session and Red Stripe Beers. Hooray beer! Is it the best bottling method for coffee? I have no idea, but it certainly stands out when placed next to the fifty other bottled iced coffee drinks. When first popped (and I say popped because I didn't realize the cap was a twist-off), you're initially greeted with subtle hues of chocolate and the typical aura of coffee. The first sip is a bit surprising as I have to admit I'm not used to my coffee "glugging" as I sip it. That said, my first reaction was not incredibly positive as it comes off really bitter. When that subsides, the taste is actually quite pleasant with plenty of chocolate, toffee, and nuttiness hues. Subsequent sips are similar with an odd bitter/tea type first reaction and the aftertaste actually being a better experience. After getting through a third of the bottle, I've decided this isn't exactly the drink for me. That aside, this is definitely a unique beverage that I would suggest trying if you have the opportunity. 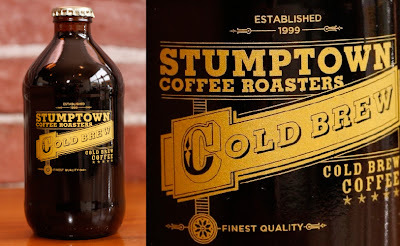 It's unconventional, unique, and a little strage; just like the city Stumptown calls home. And the best part about this drink? You can responsibly drink as many as you'd like. Hooray responsibility! Fall. Harvest time. The air is dry and crisp, and everywhere I go I hear the sound of dry leaves crunching underneath my feet. 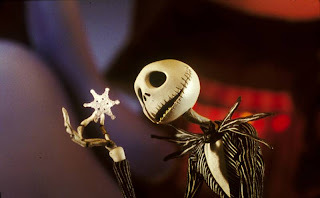 Despite being the harbinger of winter, fall is my favorite season. It is the only time of year where I feel a nostalgic twinge for my days growing up on the east coast. I think about the brilliant colors of the maple trees, wagon rides, scarecrows, powered sugar donuts, and, of course, apple cider. I did go with friends this year to pick apples. We pressed 10 gallons of juice. I had never had fresh, unpasteurized apple cider. If you get a chance to try it I highly recommend the experience. Most of that 10 gallons was put up to ferment and make lovely hard cider wonderfulness. Yes, I get gushy about hard cider. I think that if I were to ever move away from the Pacific Northwest my fall nostalgia will include this awesome beverage. We gleaned another fruit as well - Italian Prunes - and set ourselves down for an evening to pit them for plum wine. Of course, I feel that making alcohol requires drinking it, so I picked up a bottle of Blue Mountain Cherry Cider while buying yeast at the brew store. I do not think this cider could taste any more like cherries. Each sip was packed with tart, full, cherry flavor and just a hint of apple lingering in the finish. The nose was also ripe with cherries and champagne undertones. As the cider warmed the flavors went from pie cherry tart, to newly ripened rainier, and on into juicy bing. Not sure what cherries were in my bottle, but it was fun to experience the flavors open up over time. I drank this cider alone, and because I did not want to mess with the flavors, it kept me from sampling the plums. That said, I would most definitely pair this up with chocolate desserts, or even turn it into a fancy ice cream float. In 1858, Philadelphia tinsmith John Landis Mason patented a glass jar with a unique sealing screw-on zinc cap. Made of soda-lime glass with a standard 60 mm or wide 7 mm mouth diameter, the Mason jar has been integral in the home-canning market for over a century. In Seattle's hipster Ballard neighborhood, the Mason jar has also recently become integral in the delivery of beer to my mouth. A masterful resurgence, the jar-a-beer model has been observed in at least three local establishments and this fine publication will chronicle all of them. Betcha weren't expecting a history lesson, huh? For our first installment, I visited The Sexton, a small-plate southern cuisine joint in old town Ballard. Opened in December 2011, The Sexton has enticed a healthy crowd since with creative cocktails, comfort food, and bourbon. Lots of bourbon. While Rick, Alyssa, and I had enjoyed The Sexton not long after they opened, I had kind of forgot about it until the Jar-a-Beer series kicked off. Some friends and I hit it up on a recent Friday, a much welcome treat after a long week of work. Despite a packed house, the staff went out of their way to ensure we had a table that was comfortable and booze while we waited. I kicked off the evening with The Double Bind, a fine cocktail with bourbon, lemon-sage shrub, ginger beer, and angostura bitters. God. Damn. It was good. Drew dove right in with the first jar-a-beer for the evening, intrigued by the impact that the Mason jar would have on his experience. Judging by the less than 5 minutes it lasted on the table, I'd think it was an utterly transformative refreshment. Between the four of us, we were able to order nearly everything on the menu; a delicious foray beyond the Mason-Dixon line. Sliders: Go with the BBQ pork option on a brioche bun. Fried Brussel Sprouts: Salty vegetably goodness. Sexton Mac: Bacon roux, five cheeses, and arugula with a balsamic redux. Apple Cider Braised Ribs: Drew's from Kansas City and says they're the best ribs in Seattle. With dinner, I ordered a Fremont Pale Ale. In a Mason jar, no big deal. I knew the beer would be delicious, and the experience was only enhanced by the nice wide mouth, pleasant weight, and orgasmic hand-feel of the jar. This journalist gives the jar-a-beer phenomena a hearty endorsement, and we look forward to bringing you future jar-a-beer features. And if you're looking for a delicious meal, great service, and delicious cocktails, The Sexton is the place to be. After the fun we had trying out beers on Saturday, we opted to take a drive about to some of the wineries on Sunday. There are a great number of wineries in Hood River, and because we were heading out to go hiking hear Mt. Hood, we picked 3 to hit up as we left town. The first was Mt. Hood Winery. With an amazing view of its namesake, this winery had a beautiful and open tasting room and a great number of fruit-forward wines. The most notable I think being their Pear Wine. Mellow and soft on the nose, this wine is extremely delicate and fruity. The pear is clearly present in the flavor along with melon and a floral sense in the finish. It is lightly sweet without being syrupy, and beautifully pale in color. I enjoyed this wine, and would certainly sip it chilled on a hot day. Our second stop was Viento, a small winery behind the Gorge White House. The private label of noted winemaker Rich Cushman, this winery puts forth a lovely array of limited production wines. My favorite was Vento, a red blend of Sangiovese, Grenache, Syrah, and Barbera, this Italian-style wine is powerfully fruity with cherry and plum with a spicy finish. I also found vanilla throughout. I picked up a bottle to drink at home - likely with a grilled steak. Finally we went to Wy'East Vineyards. Greg bought himself a glass of the Tilly Jane (a crisp, citrusy white) and curled up with a book while I sampled a mix of whites and reds. My favorite of all the offerings was the Cloud Cap Select, a port-style dessert wine. I usually do not go for very sweet wines, but this was just spectacular. Full of chocolate, raisin, plum, and vanilla, I bought myself a bottle with the plan to crack it on a cold winter night with some chocolate and strawberries. NOM! In an attempt to be the world's best girlfriend I planned a trip for Greg and I after his last massive test in his Ph.D program. I chatted with Josh for ideas, and he helped me decide on a place where we could have both adventure and R and R - Hood River. We rolled in late Friday night and rose early. First thing on the docket was adventure, which we got in the form of white water rafting on the White Salmon river. We had a total blast with our guide, and loved the experience. After we got off the water we rolled back across the border into Oregon to start the relaxation part of the weekend. What does that mean? Beer! Our first stop was Pfriem on Portway Ave. A new brewery in Hood River, we came across it while walking along the water to watch the para-surfers. The staff were kind enough to serve us outside so the dog could stay with us (thanks Maggie and Kelsey). A family affair, the brew pub is full of evidence that the space is meant to be kid-friendly. Toys were available in the main room, and there were supplies for mothers to change diapers in the rest room. Everyone was kind and happy to share about themselves...and, of course, their beer. We got the full tasting flight, which went from light to dark. The Wit was fruity and light with a crisp mouth feel. The Belgian Strong Blonde was wonderfully spicy with hints of vanilla and a sweet finish. I enjoyed the Blond IPA, which was a solid balance between citrus and hops. The IPA took that hoppiness to the next level. My favorite was by far the Belgian Strong Dark. This beer was full of complex flavors including vanilla, fig, and chocolate. I found it to have almost a liqueur finish. I ordered a wonderful glass along with some of the garlic pub fries. An awesome treat! We ended our night by hitting up Double Mountain. Here too we were able to sit outside with the dog and get service. I ordered the Devil's Kriek, a strong sour that was aged with bing cherries. This beer was powerful and fruity. The use of the wild yeast in its brewing give it an edgy flavor. I really liked this beer - it was full-bodied and vibrant. Greg hit up the Vaporizer, a pale ale with a wonderfully golden glow and rounded balance of hops and malt. We did not have food here (we were jonesing for thai), but what we saw looked delicious!